Cape Cod New Listings is the go-to source for finding Cape Cod Homes for sale. MLS listings, Luxury Homes, Waterfront Properties, Golf Homes, Vacation and Second homes for sale. 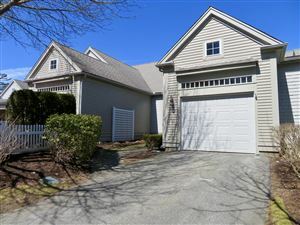 Buy Great Deals, Foreclosures, Short Sales in all the Cape Cod towns including Mashpee, Centerville, Marstons Mills, Yarmouth, Osterville, East Falmouth, Forestdale, Sandwich, Hyannisport, Cotuit, Barnstable. Relocating? Check out our detailed School Ratings, test scores by grade, student-teacher ratio, and much more. Get a detailed Market Analysis before you hop in your car. Learn what each Cape Community has to offer. Compare where you Live, side by side, helping you to make the best real estate decision Monthly Insider Tips, offering a wealth of information to help you better understand the factors that impact the real estate market. We bring the entire Cape Cod Real Estate Market to your front door! All data relating to real estate for sale on this page comes from the Broker Reciprocity (BR) of the Cape Cod & Islands Multiple Listing Service, Inc. Detailed information about real estate listings held by brokerage firms other than ETSells Group @ Keller Williams Cape Cod & Islands include the name of the listing broker company. Neither the listing company nor ETSells Group @ Keller Williams Cape Cod & Islands shall be responsible for any typographical errors, misinformation, or misprints and shall be held totally harmless. The Broker providing this data believes it to be correct, but advises interested parties to confirm any item before relying on it in a purchase decision.